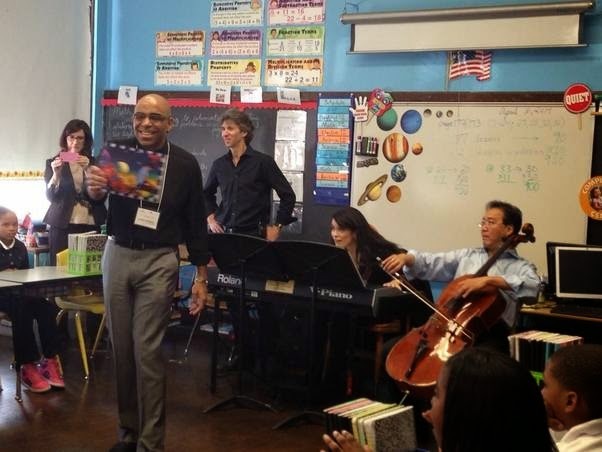 Aaron Dworkin, Damian Woetzel, Cristina Pato and Yo-Yo Ma perform at Spain Elementary-Middle School. Photo Credit: Afa Dworkin. Yo-Yo Ma with Sterling Elliott. Photo Credit: Dannielle Weems-Elliott. 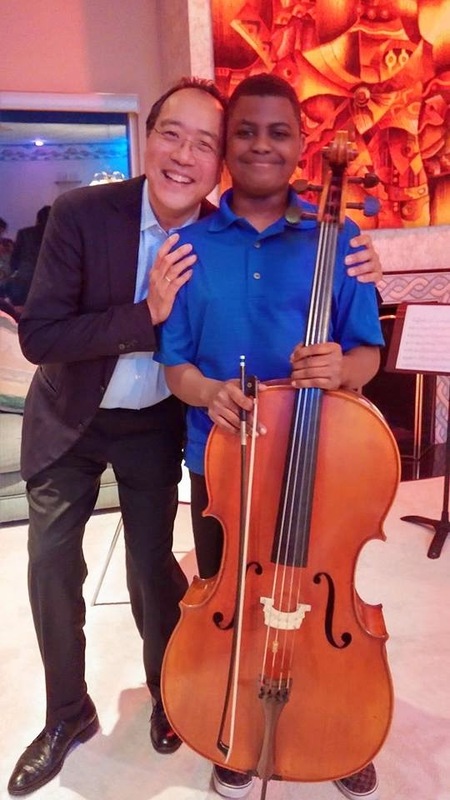 Sphinx's Special Artistic Advisor, cellist Yo-Yo Ma, recently visited Detroit as part of the Aspen Institute's "Arts Strike" program, designed to highlight the importance of the arts in education. As part of this movement, Ma visited Spain Elementary-Middle School in Detroit for an afternoon of music, movement and poetry combined with academics. 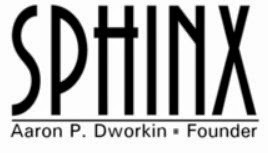 As a spoken word artist, Sphinx Founder and President Aaron Dworkin joined Yo-Yo Ma, former New York City Ballet principal dancer Damian Woetzel, Galician bagpiper Cristina Pato and street dancer Charles "Lil Buck" Riley in a collaborative multimedia presentation.